If you receive serious injuries in a Weston car accident, then you will want to identify and contact the best Weston car accident attorney to help you. You will have to deal with your insurance company; the other driver(s) insurance; and maybe your health insurance. In addition to the insurance companies, there are other issues such as medical expenses and lost wages. It makes sense for you to take the time to find the best Weston car accident lawyer to help you through these tough times. The Weston car accident lawyers at the Wolfson Law Firm want to represent you. Our Weston accident attorneys have helped South Florida car accident and injury clients for more than 50 years. They know what to do after your Weston car accident and they can help you. Just call us at 855-982-2067 or 305-285-1115 for your free, no-obligation consultation. We can come to you or you can make an appointment to see us at our offices in Fort Lauderdale, Miami or West Palm Beach. 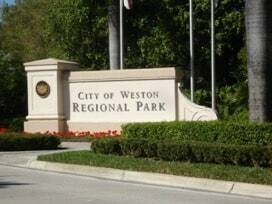 The City of Weston is one of the youngest municipalities in Broward county, being incorporated in 1996. It is a “master planned” community, meaning it holds many recreational amenities for its residents to enjoy. According to the 2010 census, it holds about 25 thousand households, with a generally estimated population of 67 thousand people by 2015. While not the largest in Broward county, this most-westward city is one of the principal cities in the Miami Metropolitan area. Weston is a particularly rich community, with its median income an estimated 94 thousand per household. JBM Realty, famous for the development of Walt Disney World, developed the majority of the master planned community. The City of Weston rests east to the Everglades and holds one of the highest populations of Venezuelans in the United States. For the past few years, it’s held several records regarding its economic wealth as a community, including one for some of the largest job growth in the nation. 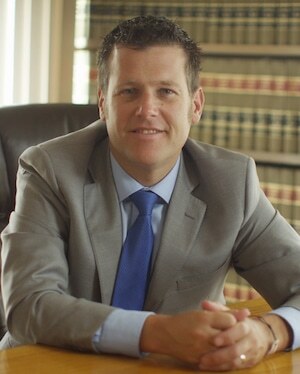 Jonah Wolfson, the managing trial lawyer of the Wolfson Law Firm, is a bilingual Weston accidental injury attorney and wrongful death lawyer. Our Weston injury legal team is also bilingual and standing by right now to assist you. Just call us at 1-855-982-2067 and let us get to work for you. At the Wolfson Law Firm, our Broward personal injury attorneys serve not only the good people of Weston and Broward County but all of South Florida including Pembroke Pines, Sunrise, Miramar, Plantation, Southwest Ranches, Wilton Manors, Fort Lauderdale, Coral Springs, Parkland, Margate, Tamarac and Hollywood.